Viewers were asked to leave an object on the table to become participants in collaboration. Making a spontaneous decision about what they gave resulted in random objects versus the carefully curated family heirlooms and other personally charged items that were on view. 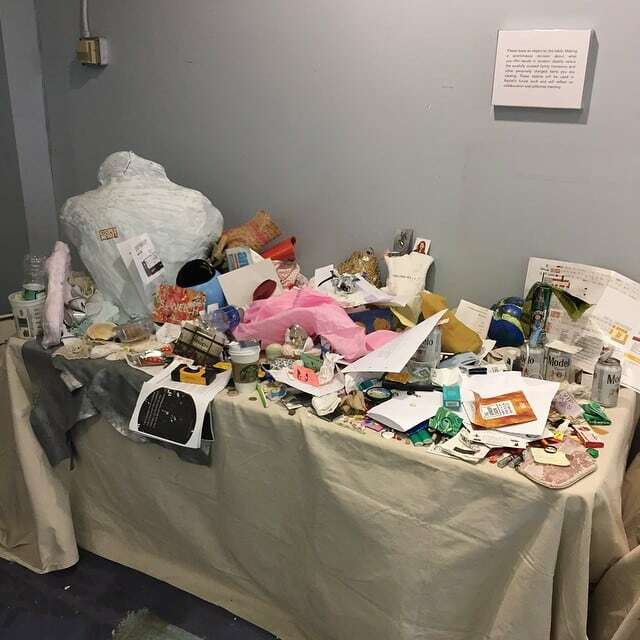 These objects are being used in my current work and aim to reflect on a collective memory and collaboration that transpired from SPRING/BREAK Art Show 2015: Transaction.